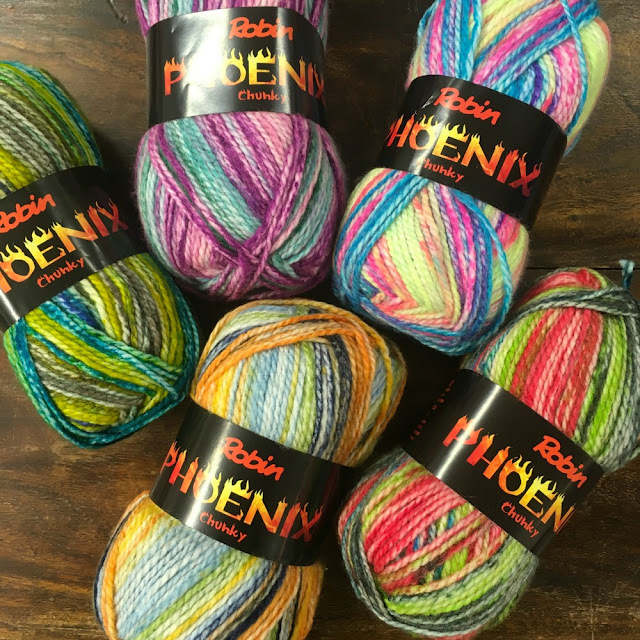 Two new yarns have arrived in the shop! Robin Phoenix is a vibrant chunky acrylic that knits to a self striping effect. 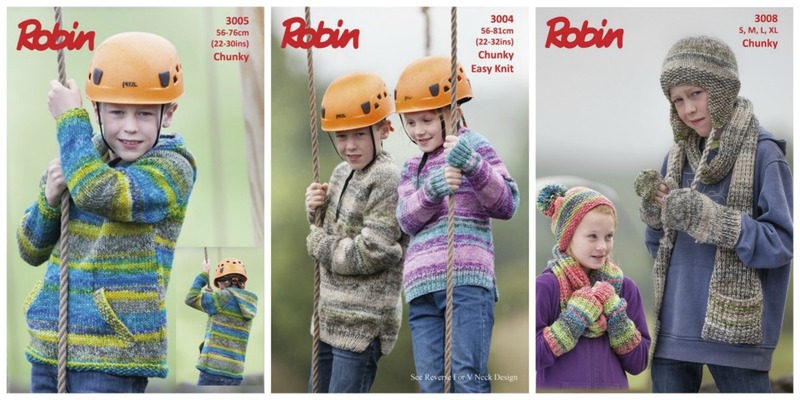 Accompanying the yarn are several patterns for children's garments and accessories... but it can be used for other chunky patterns too. 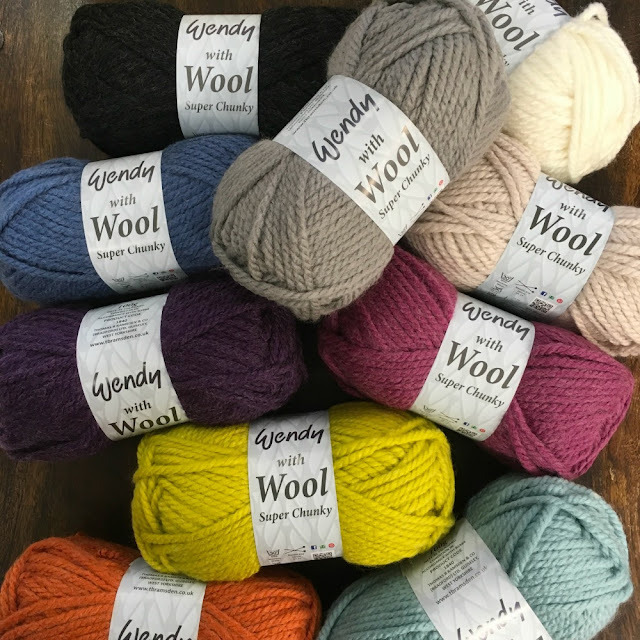 The next new yarn is Wendy Super Chunky, a wool/acrylic blend with a different texture to our Rico Super Chunkies and it comes with a lower price tag too!